Last Christmas, I made my first door wreath, using a wicker wreath base, copper fairy lights and eucalyptus. 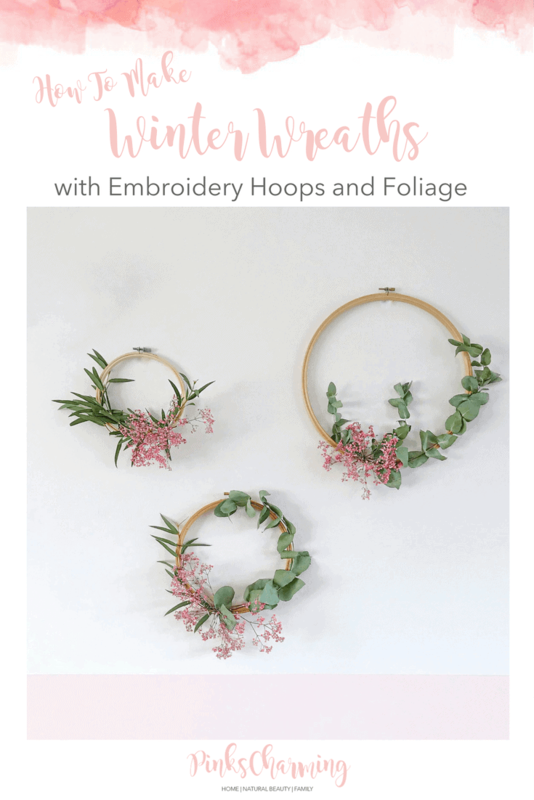 It worked so well that this year I’ve made some eucalyptus winter wreaths for our living room. You can collect foliage from your garden, or local common grounds too if you like. I just love the smell and look of eucalyptus, and it stays looking lovely even after it has dried out and gone crispy. This makes it perfect for wreath making. 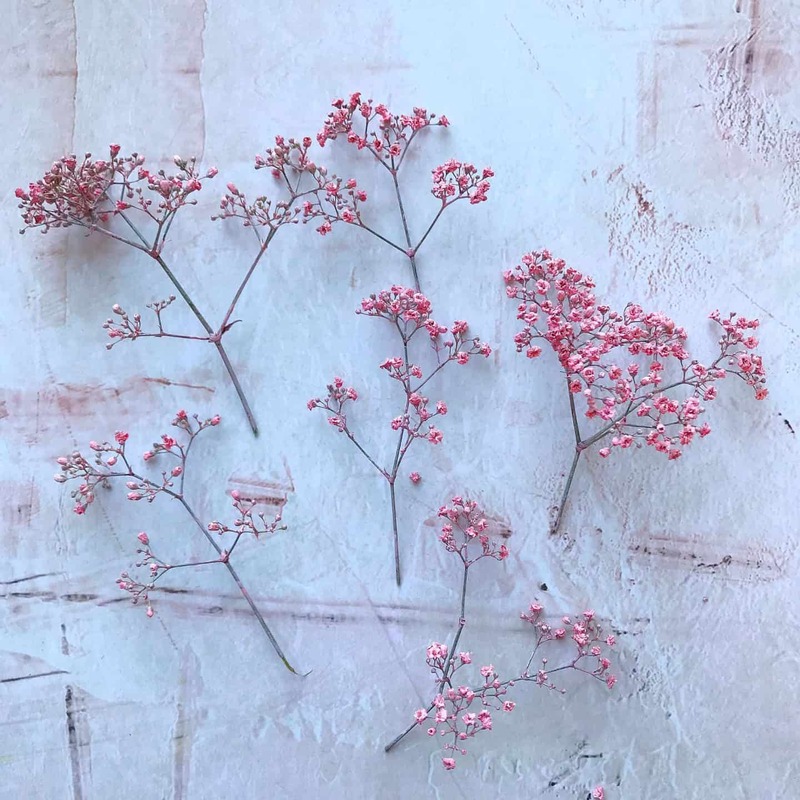 I was planning to get normal white baby’s breath (gypsophila), but I found some in my local florist’s that is sprayed pink, which I couldn’t resist. First, cut some short lengths of floristry wire, about 6-7 cm long. 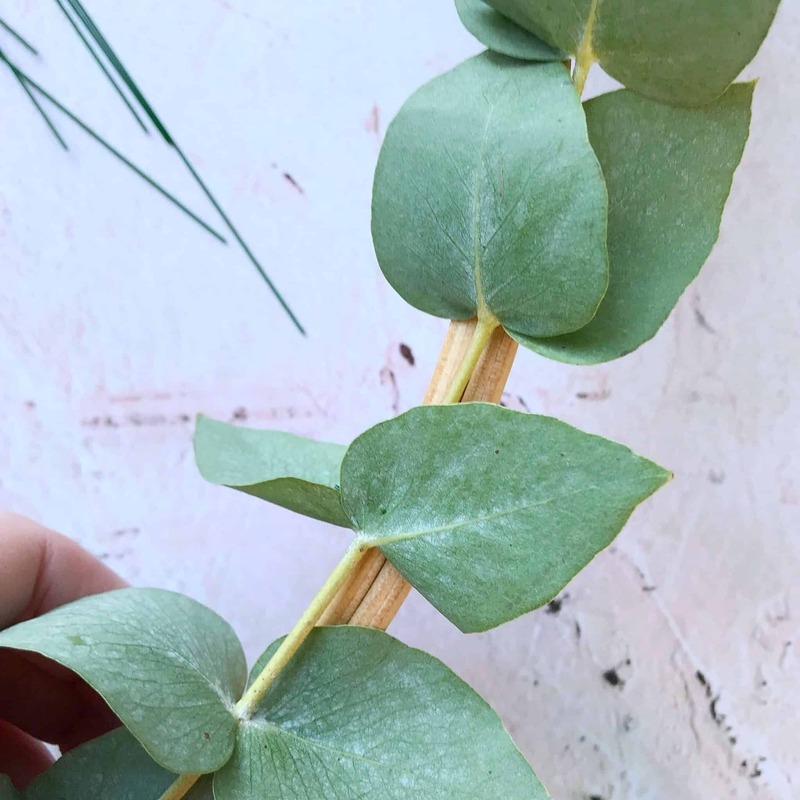 Next, use your secateurs to trim your eucalyptus to size, I used two pieces per hoop. Do the same with your baby’s breath, I cut mine quite short. 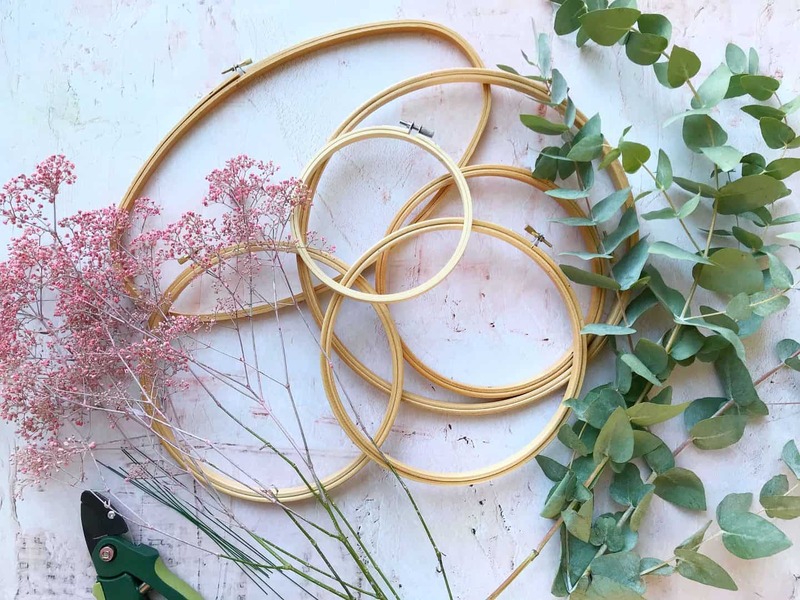 Place your lengths of eucalyptus over your hoop, overlapped them at the bottom. 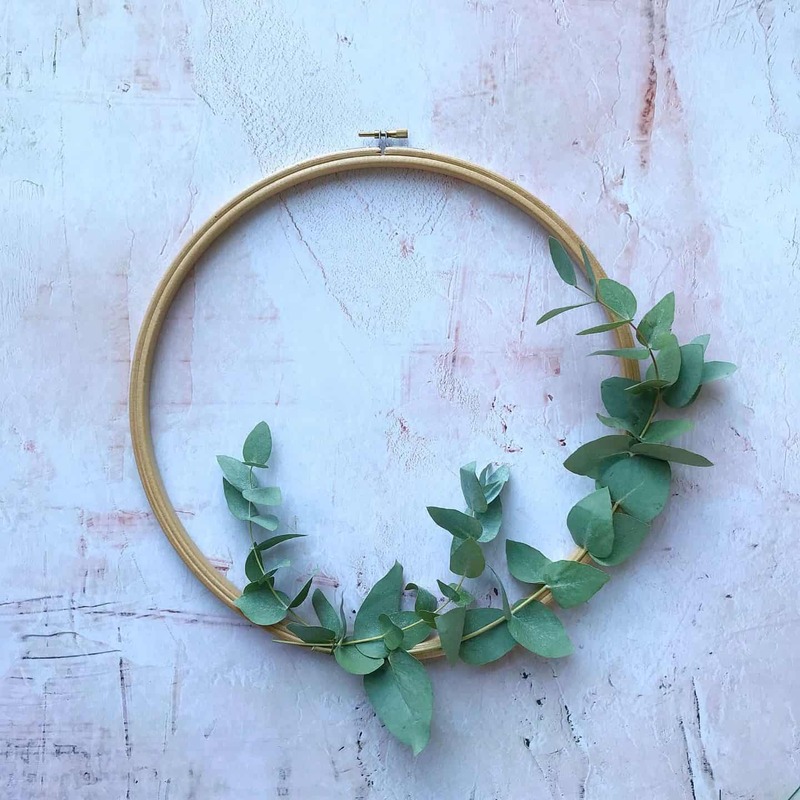 Place them pointing upwards from the bottom, or, if you want to completely cover your embroidery hoop, have them all facing the same way. Add more until you are happy with the effect. 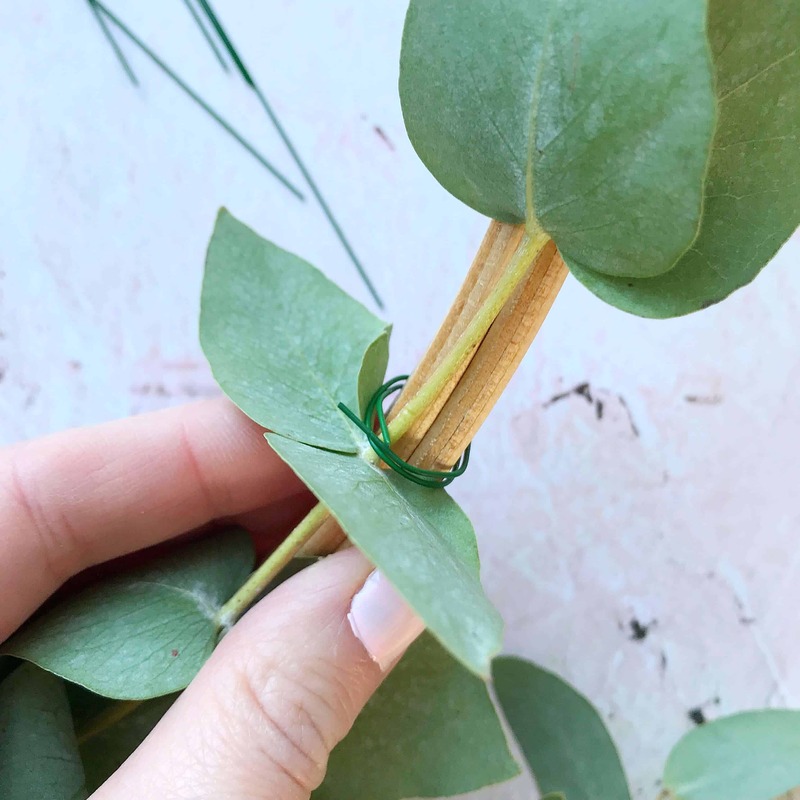 Secure the eucalyptus with your floristry wire, beneath the leaves, and if needed, slide the leaves down to cover the wire as much as you can. 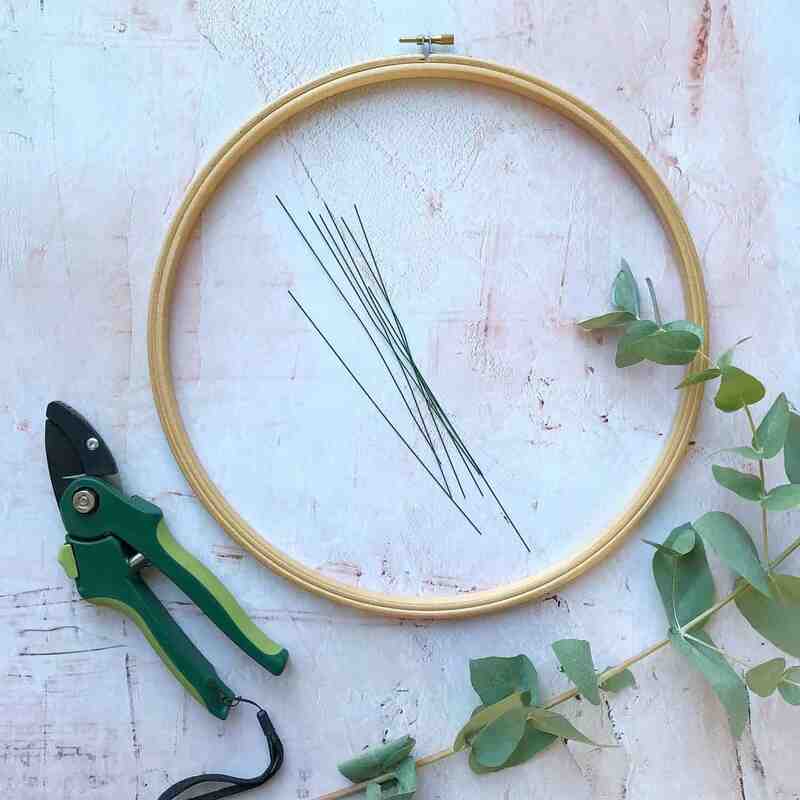 Use floristry wire to attach eucalytus to the embroidery hoop. Slide the eucalyptus leaves up to the wire. Place the eucalyptus leaves over the wire to cover it. 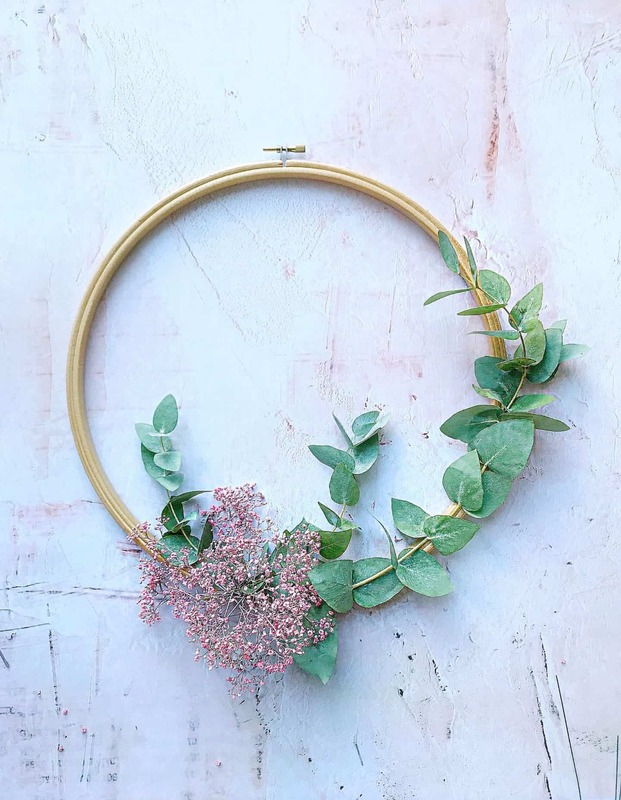 Finally, slot your baby’s breath in between the hoop and eucalyptus, and through the wire. I chose to add mine all in one bunch at the point where the bits of eucalyptus meet but you can freestyle this to create the look you want. 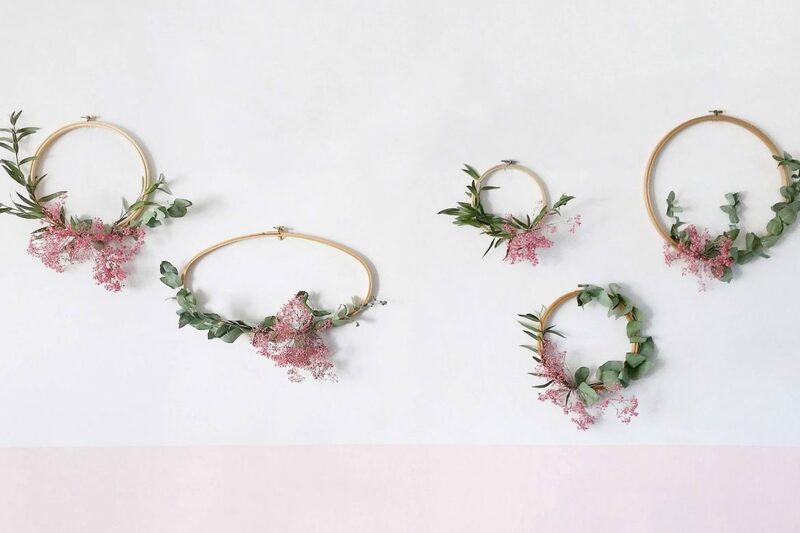 I think off-setting the flowers looks best, but make sure yours go both sides if you are making an arrangement of several hoops like me. 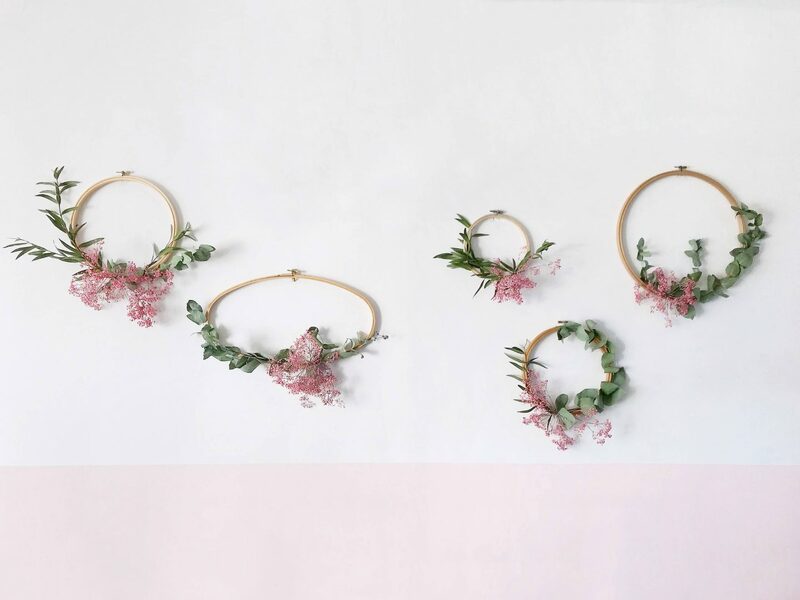 Hang your hoops, making sure to balance your arrangement by varying the sizes and putting them at different heights. You could hang them in a horizontal or vertical row, but that would require quite a lot of precision measuring so I’m not keen on that! You can easily make these winter wreaths more Christmassy, by using holly, Christmas tree offcuts and baubles. 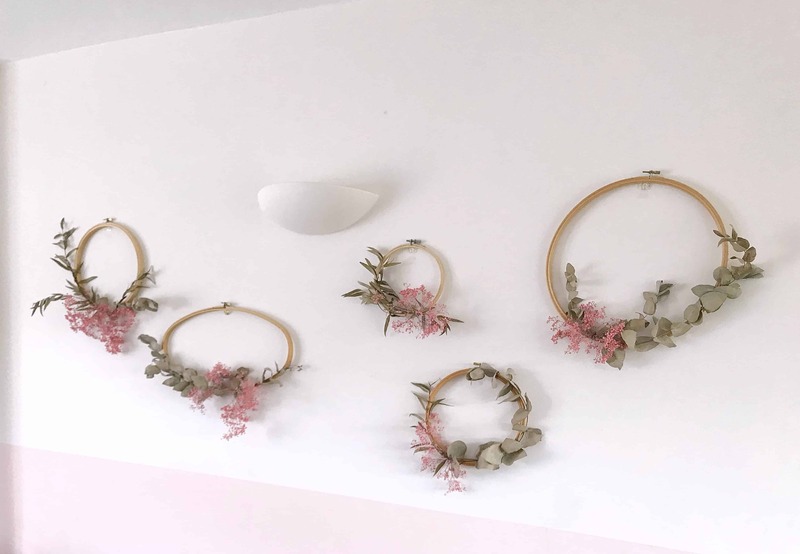 Even though I am calling these ‘Winter Wreaths’ I have actually had them up all year as they are so pretty. Here is how they look now (mid-August) A crispy, dried out and slightly faded version of the original, but still looking good! 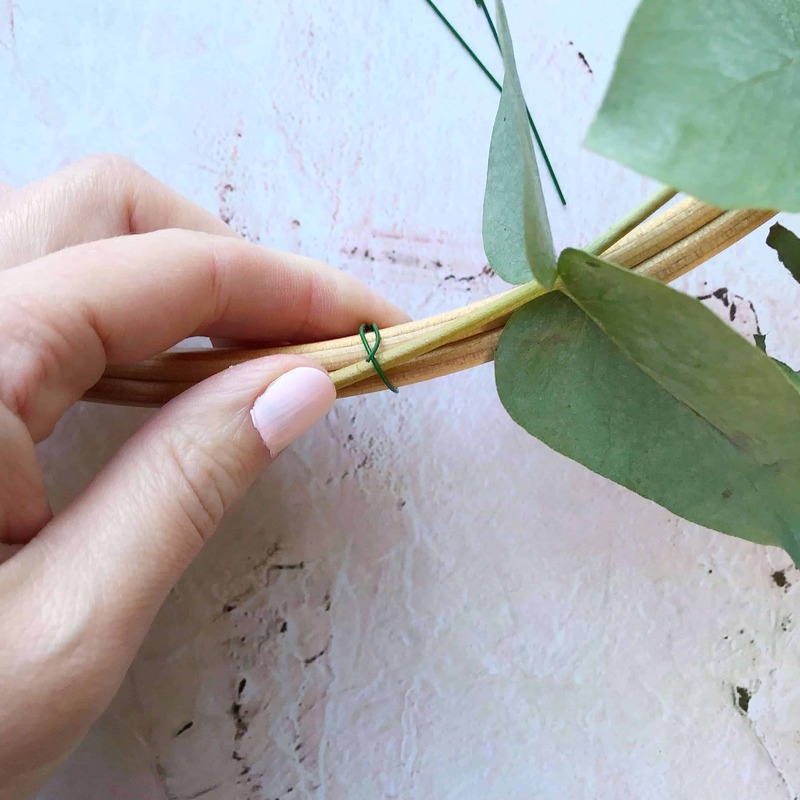 Why not Pin this easy wreath tutorial for later? Love the pretty pink flowers, so beautiful and delicate. Thanks Ricky! You won’t need luck, it’s super easy! simple. beautiful. trying this our this weekend! The pink really makes it special. I didn’t know you could buy sprayed baby’s breath. I like it because it looks good even after Christmas. Thanks so much Juan, I was so excited to find the pink version as it goes so well with my pink wall! 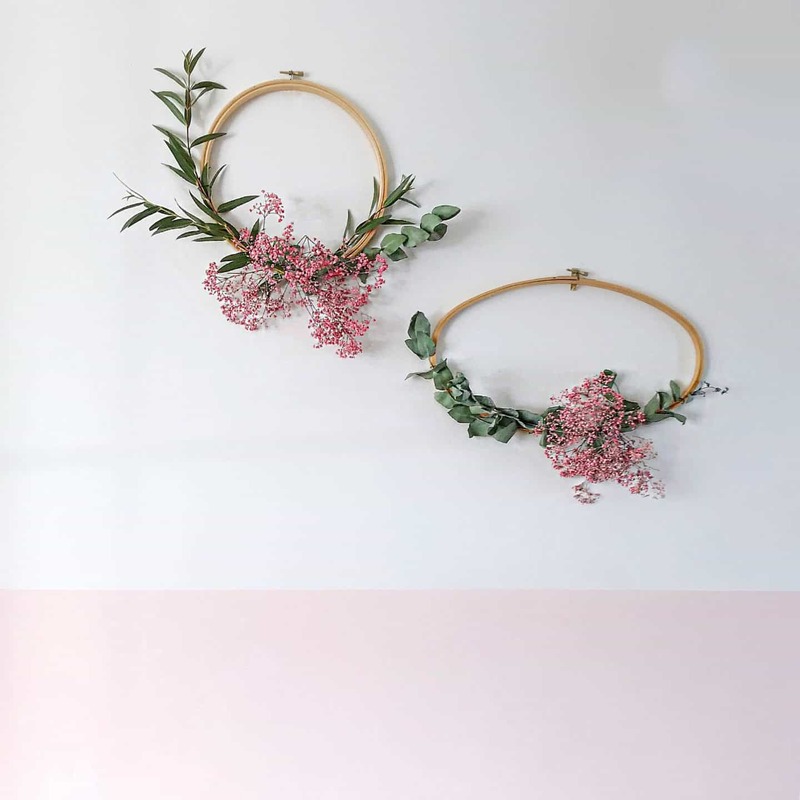 These are gorgeous and are the perfect decorations for our home. I’d love to have a go myself. 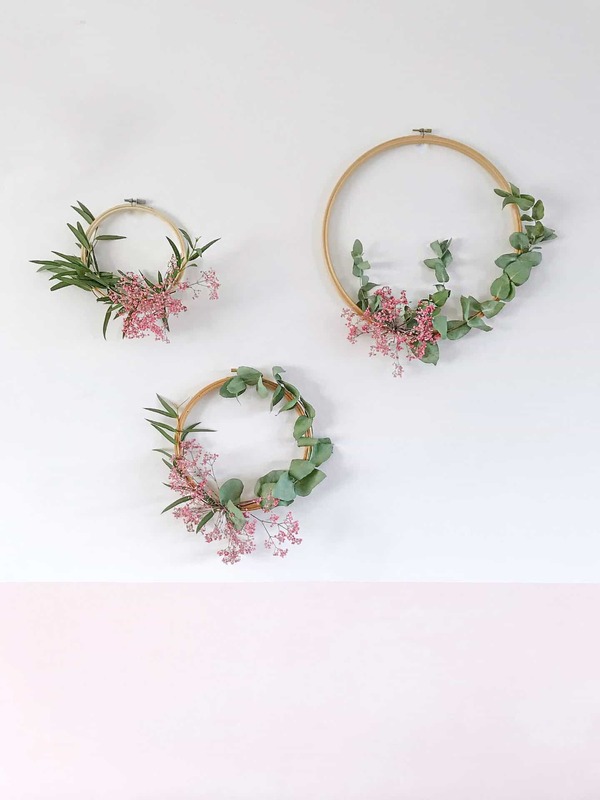 Oh hello new easy diy wreaths! I think I could even pass this onto the PTA as an easy to do with kids during our Christmas fair! Quick question though: how long do you think these will last? That’s a good question – based on last year’s wreath I think the eucalyptus will look find (more crispy but still good) for a month or more, but I think the baby’s breath may need to be replaced. I may spritz them with water every now and then too!